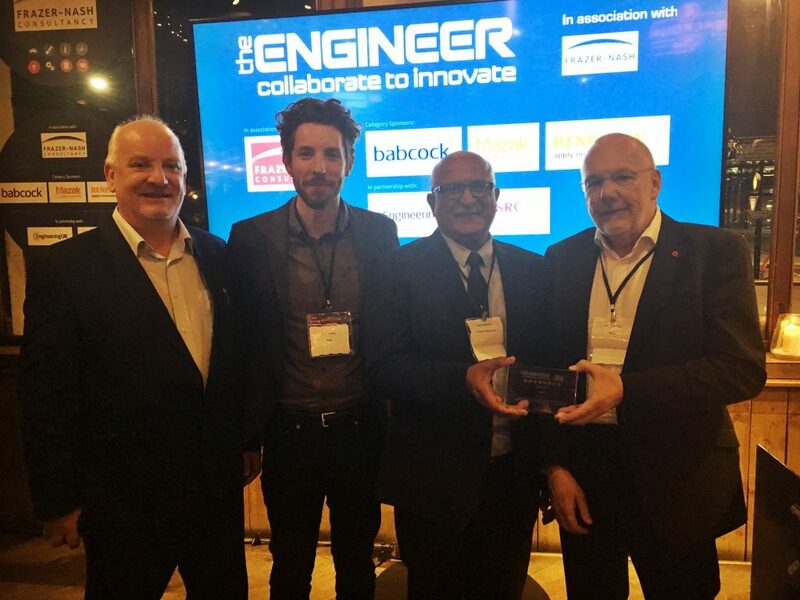 The UK Autodrive Project has won The Engineer’s 2018 Collaborate to Innovate award. Judged by a panel of leading UK engineers, winning entries had to demonstrate that they were innovative, collaborative and likely to have an impact in their field of application. Overseen by Arup, collaboration was at the heart of UK Autodrive’s success. Collaboration between three global car manufacturers has accelerated technological R&D, underpinned by the world-leading testing and safety support from Horiba MIRA. Collaboration between two local councils helped find solutions to the local and social challenges that face CAV technology, backed by expertise from three of our great universities. The RDM Group have benefitted hugely from the support and input from this consortium not only in developing and refining their autonomous pods but in helping to commercialise them to the extent that they now have a global footprint. Finally, collaboration between all partners has helped Thales, Gowling WLG and Axa to find solutions to some of the most complex cyber-security, legal and financial challenges in this sector. The UK Autodrive project successfully demonstrated the world’s first multi-modal CAV demonstration across two cities, opened the door to future CAV projects, and complements the government’s Future Mobility Grand Challenge. Worldwide the Intelligent Mobility sector is estimated to be worth 1.4tn by 2030, with CAVs an inevitable and necessary solution to many social and technological challenges. The UK Autodrive Project has helped put the UK at the heart of this exciting new sector, and collaboration was the root of it’s success.